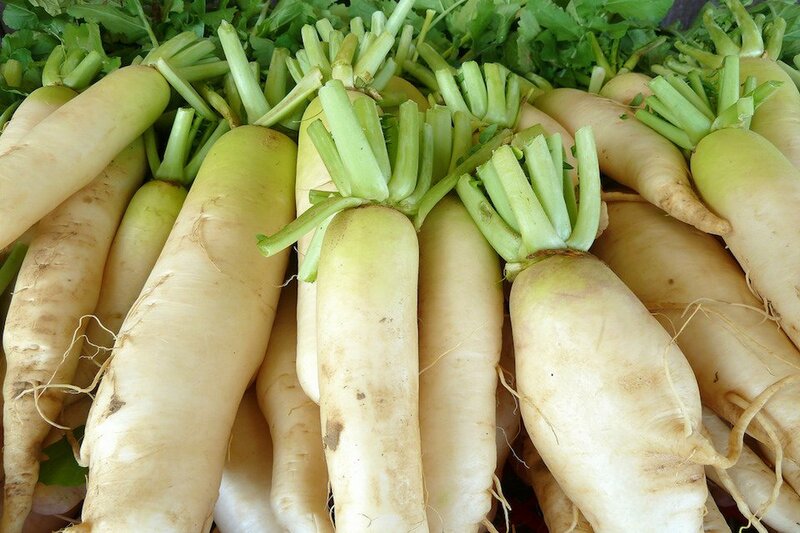 This radish variety grows much larger than other radishes. A Japanese favorite, it is prized for its mild flavor and texture. It is a great addition to any recipe and can be used like other radishes. This Japanese radish is a mild and tasty annual. This top-quality variety is a kitchen essential. Suggested Planting Requirements: Radishes prefer well-drained soil with plenty of added organic matter. They have low nutrient requirements; especially avoid excess nitrogen to promote good root development. Preferred soil pH is 6.0-7.0. Growing Recommendations: Cool weather is needed for best development. Sow seed directly wherever there is extra space in the garden. Radishes make good, living row markers for slower germinating crops like carrots. Harvesting & Storage: French Breakfast is used best when young and immature, less than 1″ in diameter. They may keep 1-2 weeks in the refrigerator.